1. Why Hire a Tiny House Builder? Why Hire a Tiny House Builder? Maybe you don’t have the time, skills, or desire to build a Tiny House yourself. And maybe you want a bit more flexibility or involvement than comes from purchasing a ready-made Tiny House. In that case, the middle route of hiring a Tiny House builder may be for you. How long has the builder been building Tiny Houses? How many Tiny Houses has the builder completed? Does the builder have a portfolio of finished projects that you can look at? Are there any finished projects that you can look at in person? Are testimonials or reviews of the builder’s work available? If it’s possible to contact former clients, ask about their experience with the builder and whether or not they would recommend that person or team. As you look at the builder’s work, take note of how similar those projects are (or are not) to the project you have in mind. If your project significantly differs from the builder’s current portfolio of work, you’ll want to communicate clearly what you have in mind during the interview process and find out if your project is within the builder’s abilities. A Tiny House is not just a regular house in miniature; there are construction methods, systems, and considerations that an experienced Tiny House builder will understand and be able to execute. Be wary of someone with standard residential construction experience jumping on the band wagon and hanging out a shingle as a ‘Tiny House Builder.’ You might find your Tiny House sliding off the trailer as it travels down the highway. If you want to check in on the progress of your Tiny House in person as it’s being built, choose a builder within a reasonable distance from your current location. Otherwise, choose based on other criteria and plan to have your Tiny House towed to its living location when it’s finished. Or travel to the construction site and tow it yourself. Choosing a Tiny House builder located near you also allows you to meet easily in person before the construction begins. If you plan to work with the builder to develop a custom design, it may be helpful to be able to meet several times at the onset of the project. Of course, this can also be done at a distance, if you don’t have a strong preference for in-person communications. How busy is the builder? Will you have to put your name on a three-year-long waiting list before your project will begin? Is the builder available to start when you’re ready to get going? How long will the construction take? Keep in mind that an individual builder may have a longer build time than a team of people. Does the builder work on one project at a time, or have several going at once? Do you prefer a builder who will focus all of his attention on your project until it’s finished? 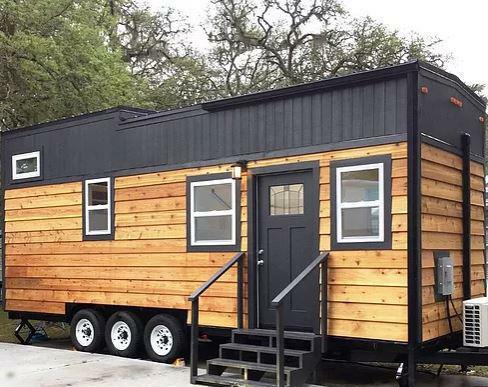 Does the builder have standard Tiny House designs that she offers? Are any of them to your liking? Are customizations an option? How does the customization process work? Some builders are only willing to build their own designs. Do you prefer to provide the builder with your own completed set of construction documents to work from? Or do you prefer to work with someone who will go through a custom design process with you from scratch? Are you interested in a variation on a purchased set of plans? When choosing a builder, be sure to find someone who is open to working in the way that works best for you. Get a detailed budget from the builder that includes all construction costs and labor costs. Does it include any applicable sales tax? When looking at budgets, look at more than just the bottom line. To a degree, there’s an element of ‘you get what you pay for.’ A higher construction budget may mean higher quality materials or workmanship. Pay close attention to what’s included in the budget when comparing different builders’ bottom lines. And when looking at budgets, be sure to take into consideration delivery costs (DIY or otherwise), whether the builder is located close to you or across the country. As delivery costs increase with distance, this factor could impact which builder you choose according to the builder’s proximity to you. Does the builder offer financing? Even if there’s not a formalized financing plan offered, many builders will allow percentages of the budget to be made in stages during the construction. Find out ahead of time when your payments (or single payment, as the case may be) will be due. If possible given your location, it’s a good idea to retain the final payment until you’ve had a chance to carefully look over your finished Tiny House to ensure that everything is to order. Does the builder offer certification for the Tiny House? Is there an extra fee for that? RV certification is required for parking your Tiny House in certain locations, such as some mobile home parks, RV parks, and campgrounds. Certification can also make it easier to acquire insurance for your Tiny House. And it may make it easier to sell the Tiny House in the future. Does the builder offer delivery of the Tiny House to the location of your choice? Is the fee for doing so competitive with independent delivery services? Note that your builder is likely to take pride in your project, having spent the number of requisite hours in its creation, and will handle and deliver it with care. 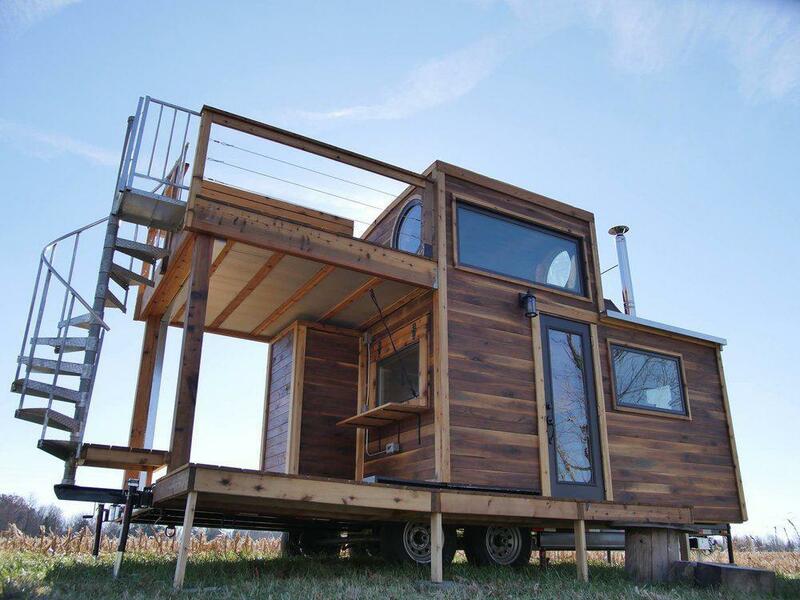 An experienced builder will also be familiar with the unique procedures involved with towing a Tiny House. Does the builder guarantee the work? If so, for how long? Is there a distance allowance for how far the builder will travel to address any workmanship issues? Or are you responsible to bringing the Tiny House to the builder instead? It’s not unusual to come up with new ideas or to change your mind about certain design aspects during the construction period. You’ll want to know ahead of time what the builder’s policy is on change orders, how they’re handled, and how they’re budgeted. Maybe you’d like to do the less intensive projects yourself. Is the builder willing to build the major components and allow you to do the finish work yourself in order to save on labor costs? Option to provide own materials? Sometimes you’ll come across great salvaged building materials. Or you’ll find an amazing deal that beats the cost of building components listed in your builder’s budget. Or maybe you just want to do your own shopping for appliances. Is the builder open to letting you provide some of the construction materials, and adjust the budget accordingly? Does the builder have adequate facilities for constructing Tiny Houses? A weather-protected shop is ideal for keeping the Tiny House covered and protected from weather before the exterior envelope is completed. Get a sense of the person or team you’ll be working with. Are they people that you feel comfortable working with in the creation of your new home? It’s an involved process and you’ll want to make sure you feel good about your ability to get along with them and that communications will flow well in both directions. Now that you’ve narrowed it down to a number of possibilities, how do you pick who you’ll work with? Conduct an interview by phone or, preferably, in person. In addition to asking the following questions, get a sense for whether this is a person (or team) that you want to work with. How long have you been building Tiny Houses? Approximately how many Tiny Houses have you built? How many people are on your construction team? Do you build one Tiny House at a time or several? How available are you for questions and conversations before, during, and after construction? Do you have completed projects that I can look at? What are your shop facilities like? Will my Tiny House be built outdoors or in a covered space? Do you have your own standard designs? Are they customizable? Can I provide my own set of construction plans? Can I provide some of the construction materials (e.g. salvaged)? When would you be able to start my project? How long would my project take to finish? Can I do my own finish work? What is your change order policy if I change my mind on something during construction? What is your guarantee/warranty policy? What does it cover? For how long? How much will my Tiny House cost? Does that include sales tax (if applicable)? Do you offer certification? Is there an additional fee for that? How much will my Tiny House weigh? What size truck will be necessary to tow it? Do you provide delivery? What do you charge for that service? Does it include on-site set-up? The owner of Cascade Tiny Houses in Washington State lends his 48 years of building experience to his passion for Tiny Homes. 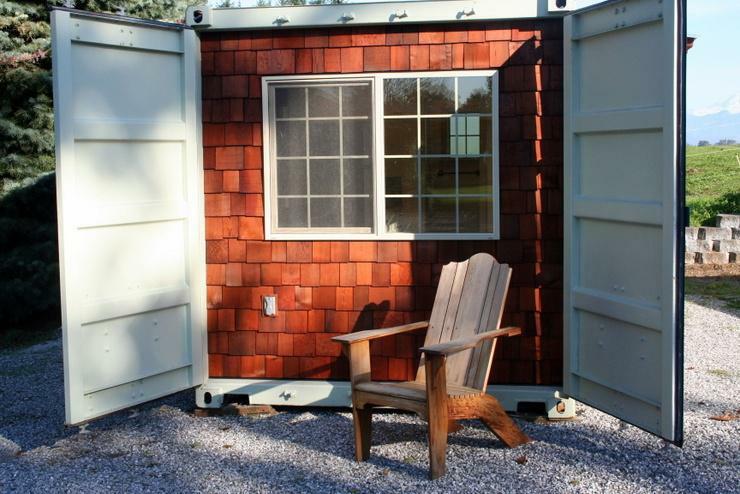 The company offers both completed and custom Tiny Houses, including shipping container Tiny Houses. To learn more about Cascade Tiny Houses, visit their website. Rocky Mountain Tiny Houses in Durango, CO enlists a “made from scratch” philosophy with an emphasis on custom homes. They offer ready-to-purchase models, custom builds, and shell builds, as well as custom design and consulting. They have been featured in Tiny House Magazine. To learn more about Rocky Mountain Tiny Houses, visit their website. Sanctuary Tiny Homes in Florida designs with the unique customer in mind, for full customization toward personal needs. They donate 10% of profits to Nurturing Needs for the Nations. For more about Sanctuary Tiny Homes, visit their website. 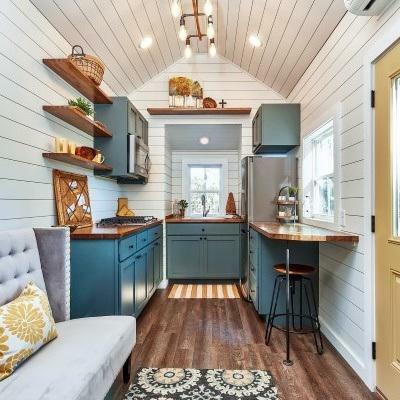 Mustard Seed Tiny Homes in Georgia offers premium Tiny Houses with a mission to help the Tiny House Movement grow. With a goal of making each of their Tiny Houses a ‘seed of hope,’ they give a portion of profits to aid people with housing needs both locally and internationally, partnering with Ground Zero Grace in Atlanta, Georgia and Ithemba Shacks in Cape Town, South Africa. They offer their own model designs as well as shell options and financing. To learn more about Mustard Seed Tiny Homes, visit their website. Carpenter Owl in Indiana focuses on the use of natural construction materials to create low-chemical, environmentally friendly homes. Clients are invited to be part of every stage of the process of creating their Tiny Houses, whether or not they have prior construction experience. They also offer highly portable Excursion Structures. To learn more about Carpenter Owl, visit their website. Perhaps you do, in fact, have the time, skills, and desire to build your own Tiny House. In fact, maybe you’d like to build Tiny Houses for other people as well. 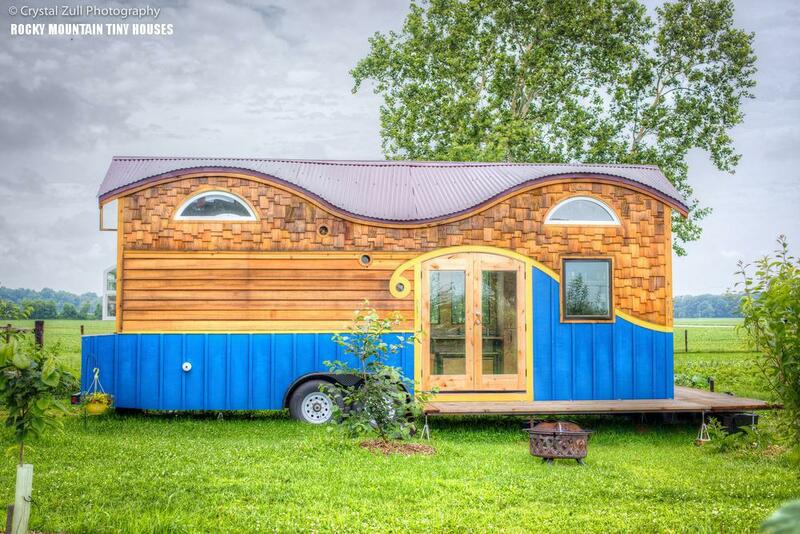 Perhaps you’d like to see your name on that list of Best Tiny House Builders above. The question for you, then, is how to become a Tiny House builder. To be a reputable Tiny House builder, you’ll want to meet the criteria listed throughout this article. If you’re just starting out and need to build a body of work as a portfolio to show prospective clients, get in touch with people who are ready to build and work out an attractive deal. Document your work well- take plenty of photos of the interiors and exteriors of your completed projects. Treat your clients well—word of mouth and testimonials are of utmost importance. Create an online presence. Unless you have a steady stream of local word-of-mouth business to keep you busy, you’ll need to attract new customers. You’re not likely to be taken seriously without a decent website. Get the word out about your work in Tiny House online forums and social media. As the Tiny House Movement grows, there are more and more quality Tiny House builders available to create your very own Tiny House. With some searching, you’re very likely to find someone who is a great fit for your unique needs. Narrow down your options taking into consideration builder’s location, skill and experience, schedule and availability, standard available designs and customization options, whether they fit your personal budget, and the possibility of options such as finishing the interior yourself or providing some of your own salvaged building materials. Once you’ve narrowed it down, conduct an interview, preferably in person, using our interview checklist above. At that point, you’ll likely have a very good idea of who your best candidate is and be ready to take the next step in your Tiny House journey!